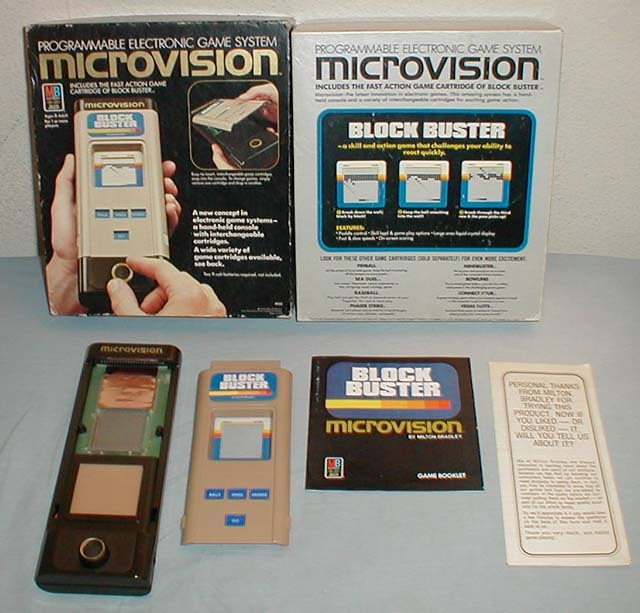 Microvision, first released in 1979, was “the very first handheld game console that used interchangeable cartridges.” I don’t even remember this thing being on my radar as a kid, but it looks fun, and you can play some games at The Microvision Simulation Project. Benj Edwards has more photos and details at his great site, Vintage Computing and Gaming. Also check out Benj’s cool slideshow on the history of handhelds at PCWorld. Thanks to Steve Austin’s bionic eye for identifying this artifact in my last post.